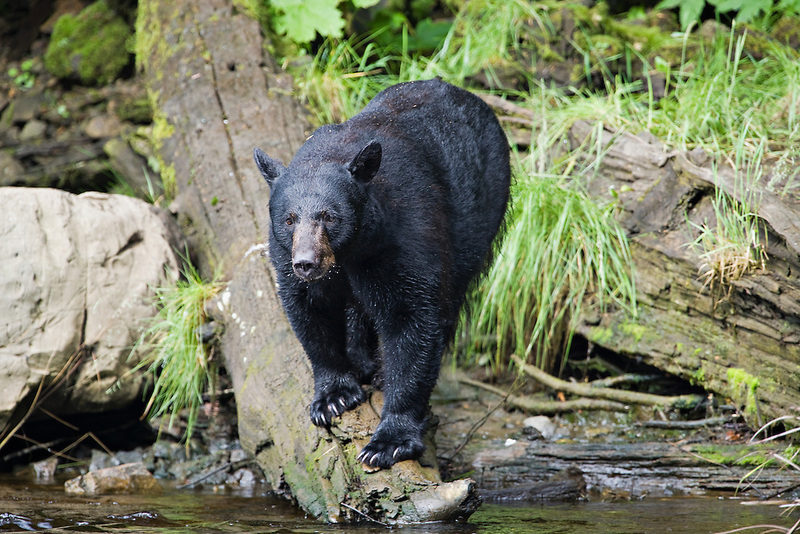 Black Bear on log besides Gunnuk Creek near Kake on Kupreanof Island in Southeast Alaska. Inside Passage. Summer. Morning.